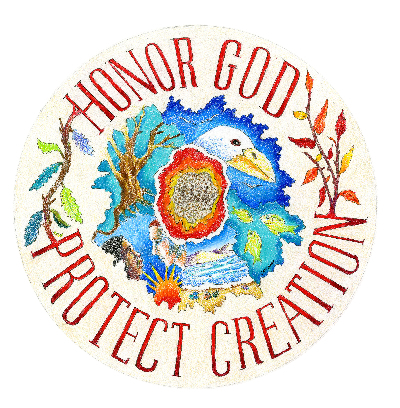 How can we lead lives that are respectful of God's creation? How do we avoid destroying God's work? We are pulled by modern society to consume and travel more than necessary. Fortunately God gave us His Spirit and the power of prayer to work the impossible mission of changing our lives. Join together to pray for and encourage each other, our destruction of God's creation can be halted. Set an example for others and make it easier for them to use less and recycle more. God can and has worked through His followers to change society. If you are bothered by the destruction remember that you were given the power to stop it, use it. Pray for guidance and strength to do what is good. Some Bible verses that inspired my thoughts. Other religious books and teachings give the same message. GE 1:1 In the beginning God created the heaven and the earth. 2 And the earth was without form, and void; and darkness was upon the face of the deep. And the spirit of God moved upon the face of the waters. 3 And God said, Let there be light: and there was light. 4 And God saw the light, that it was good: and God divided the light from the darkness. 5 And God called the light Day, and the darkness he called Night. And the evening and the morning were the first day. GE 1:6 And God said, Let there be a firmament in the midst of the waters, and let it divide the waters from the waters. 7 And God made the firmament, and divided the waters which were under the firmament from the waters which were above the firmament: and it was so. 8 And God called the firmament Heaven. And the evening and the morning were the second day. GE 1:9 And God said, Let the waters under the heaven be gathered together unto one place, and let the dry land appear: and it was so. 10 And God called the dry land Earth; and the gathering together of the waters called he Seas: and God saw that it was good. 11 And God said, Let the earth bring forth grass, the herb yielding seed, and the fruit tree yielding fruit after his kind, whose seed is in itself, upon the earth: and it was so. 12 And the earth brought forth grass, and herb yielding seed after his kind, and the tree yielding fruit, whose seed was in itself, after his kind: and God saw that it was good. 13 And the evening and the morning were the third day. GE 1:14 And God said, Let there be lights in the firmament of the heaven to divide the day from the night; and let them be for signs, and for seasons, and for days, and years: 15 And let them be for lights in the firmament of the heaven to give light upon the earth: and it was so. 16 And God made two great lights; the greater light to rule the day, and the lesser light to rule the night: he made the stars also. 17 And God set them in the firmament of the heaven to give light upon the earth, 18 And to rule over the day and over the night, and to divide the light from the darkness: and God saw that it was good. 19 And the evening and the morning were the fourth day. 20 And God said, Let the waters bring forth abundantly the moving creature that hath life, and fowl that may fly above the earth in the open firmament of heaven. 21 And God created great whales, and every living creature that moveth, which the waters brought forth abundantly, after their kind, and every winged fowl after his kind: and God saw that it was good. 22 And God blessed them, saying, Be fruitful, and multiply, and fill the waters in the seas, and let fowl multiply in the earth. 23 And the evening and the morning were the fifth day. GE 1:24 And God said, Let the earth bring forth the living creature after his kind, cattle, and creeping thing, and beast of the earth after his kind: and it was so. 25 And God made the beast of the earth after his kind, and cattle after their kind, and every thing that creepeth upon the earth after his kind: and God saw that it was good. GE 1:26 And God said, Let us make man in our image, after our likeness: and let them have dominion over the fish of the sea, and over the fowl of the air, and over the cattle, and over all the earth, and over every creeping thing that creepeth upon the earth. 27 So God created man in his own image, in the image of God created he him; male and female created he them. 28 And God blessed them, and God said unto them, Be fruitful, and multiply, and replenish the earth, and subdue it: and have dominion over the fish of the sea, and over the fowl of the air, and over every living thing that moveth upon the earth. GE 1:29 And God said, Behold, I have given you every herb bearing seed, which is upon the face of all the earth, and every tree, in the which is the fruit of a tree yielding seed; to you it shall be for meat. 30 And to every beast of the earth, and to every fowl of the air, and to every thing that creepeth upon the earth, wherein there is life, I have given every green herb for meat: and it was so. 31 And God saw every thing that he had made, and, behold, it was very good. And the evening and the morning were the sixth day. GE 2:1 Thus the heavens and the earth were finished, and all the host of them. 2 And on the seventh day God ended his work which he had made; and he rested on the seventh day from all his work which he had made. 3 And God blessed the seventh day, and sanctified it: because that in it he had rested from all his work which God created and made. GE 2:4 These are the generations of the heavens and of the earth when they were created, in the day that the LORD God made the earth and the heavens, 5 And every plant of the field before it was in the earth, and every herb of the field before it grew: for the LORD God had not caused it to rain upon the earth, and there was not a man to till the ground. 6 But there went up a mist from the earth, and watered the whole face of the ground. 7 And the LORD God formed man of the dust of the ground, and breathed into his nostrils the breath of life; and man became a living soul. MT 7:7 Ask, and it shall be given you; seek, and ye shall find; knock, and it shall be opened unto you: 8 For every one that asketh receiveth; and he that seeketh findeth; and to him that knocketh it shall be opened. 9 Or what man is there of you, whom if his son ask bread, will he give him a stone? 10 Or if he ask a fish, will he give him a serpent? 11 If ye then, being evil, know how to give good gifts unto your children, how much more shall your Father which is in heaven give good things to them that ask him? 12 Therefore all things whatsoever ye would that men should do to you, do ye even so to them: for this is the law and the prophets. MT 18:15 Moreover if thy brother shall trespass against thee, go and tell him his fault between thee and him alone: if he shall hear thee, thou hast gained thy brother. 16 But if he will not hear thee, then take with thee one or two more, that in the mouth of two or three witnesses every word may be established. 17 And if he shall neglect to hear them, tell it unto the church: but if he neglect to hear the church, let him be unto thee as an heathen man and a publican. 18 Verily I say unto you, Whatsoever ye shall bind on earth shall be bound in heaven: and whatsoever ye shall loose on earth shall be loosed in heaven. 19 Again I say unto you, That if two of you shall agree on earth as touching any thing that they shall ask, it shall be done for them of my Father which is in heaven. 20 For where two or three are gathered together in my name, there am I in the midst of them. MT 5:13 Ye are the salt of the earth: but if the salt have lost his savour, wherewith shall it be salted? it is thenceforth good for nothing, but to be cast out, and to be trodden under foot of men. 14 Ye are the light of the world. A city that is set on an hill cannot be hid. 15 Neither do men light a candle, and put it under a bushel, but on a candlestick; and it giveth light unto all that are in the house. 16 Let your light so shine before men, that they may see your good works, and glorify your Father which is in heaven. RO 5:1 Therefore being justified by faith, we have peace with God through our Lord Jesus Christ: 2 By whom also we have access by faith into this grace wherein we stand, and rejoice in hope of the glory of God. 3 And not only so, but we glory in tribulations also: knowing that tribulation worketh patience; 4 And patience, experience; and experience, hope: 5 And hope maketh not ashamed; because the love of God is shed abroad in our hearts by the Holy Ghost which is given unto us. 6 For when we were yet without strength, in due time Christ died for the ungodly. 7 For scarcely for a righteous man will one die: yet peradventure for a good man some would even dare to die. 8 But God commendeth his love toward us, in that, while we were yet sinners, Christ died for us. 9 Much more then, being now justified by his blood, we shall be saved from wrath through him. 10 For if, when we were enemies, we were reconciled to God by the death of his Son, much more, being reconciled, we shall be saved by his life. 11 And not only so, but we also joy in God through our Lord Jesus Christ, by whom we have now received the atonement. 12 Wherefore, as by one man sin entered into the world, and death by sin; and so death passed upon all men, for that all have sinned: 13 (For until the law sin was in the world: but sin is not imputed when there is no law. 14 Nevertheless death reigned from Adam to Moses, even over them that had not sinned after the similitude of Adam's transgression, who is the figure of him that was to come. 15 But not as the offence, so also is the free gift. For if through the offence of one many be dead, much more the grace of God, and the gift by grace, which is by one man, Jesus Christ, hath abounded unto many. 16 And not as it was by one that sinned, so is the gift: for the judgment was by one to condemnation, but the free gift is of many offences unto justification. 17 For if by one man's offence death reigned by one; much more they which receive abundance of grace and of the gift of righteousness shall reign in life by one, Jesus Christ.) 18 Therefore as by the offence of one judgment came upon all men to condemnation; even so by the righteousness of one the free gift came upon all men unto justification of life. 19 For as by one man's disobedience many were made sinners, so by the obedience of one shall many be made righteous. 20 Moreover the law entered, that the offence might abound. But where sin abounded, grace did much more abound: 21 That as sin hath reigned unto death, even so might grace reign through righteousness unto eternal life by Jesus Christ our Lord.